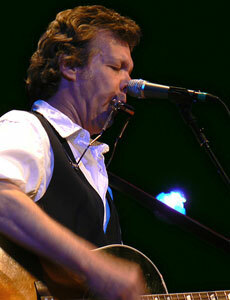 Steve Forbert Biography, Discography, Music News on 100 XR - The Net's #1 Rock Station!!! Steve Forbert was born on December 13, 1954 in Meridian, Mississippi USA; he first picked up the guitar at age 10 and spent his high school years playing in a variety of local bands. Frustrated with his later job as a truck driver, the restless singer+songwriter moved at 21 to New York City, where he performed for spare change in Grand Central Station before working his way up through the Manhattan club circuit. Performing at Folk City and eventually opening for artists like Talking Heads and John Cale at CBGB, Forbert became something of a local sensation and signed his first record deal with the CBS-distributed label Nemperor. Released at the height of the New Wave explosion, his 1978 debut "Alive On Arrival" offered a first look at his colorful mix of spare acoustic introspection and scrappy Folk-Rock to become one of the year's most acclaimed releases; it eventually reached the #80 position on the U.S. Pop Albums chart. Forbert expanded his audience substantially with the next LP, the commercial breakthrough "Jackrabbit Slim", which was released in late 1979; the album peaked at #20 on the Pop chart and the main single "Romeo's Tune" achieved a career-best peak of #11 on the Pop Sales chart, while the follow-up, "Say Goodbye To Little Jo", topped out at #85. Released in September 1980, his third effort, "Little Stevie Orbit", reached #70 on the U.S. Top 200 LPs & Tapes chart and thus failed to consolidate the commercial success Forbert had achieved with his second album. 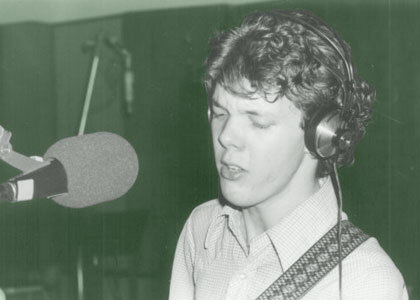 Steve Forbert resurfaced two years later with an eponymous album that failed to rise above the #159 slot on the Pop chart; it included the Mainstream Rock minor hit "Ya Ya (Next to Me)" and a faithful cover of Jackie DeShannon's mid-'60s classic "When You Walk In The Room". Unfortunately, Forbert's proposed fifth album was rejected by Nemperor in 1984, the singer encountered the harsh reality of record-company politics, resulting in a long and frustrating legal battle that kept him from releasing new music for the better part of six years. Live recordings from this period later surfaced in 1997 as "Here's Your Pizza". After moving to Nashville, Forbert signed with Geffen for two albums, 1988's "Streets Of This Town" and 1992's "The American In Me", that presented a rootsier musical approach and pointed, pensive lyrics reflecting his struggle to hold onto idealism in the face of adult disappointments. After two releases on the Warner Bros. subsidiary Giant in the mid-'90s, "Mission Of The Crossroad Palms" and "Rocking Horse Head", he found a new home at Koch Records and released some of his most compelling original works yet: "Evergreen Boy" arrived in January of 2000 and "Just Like There's Nothin' To It" followed in spring 2004. Smaller labels also released the archival collections "Young Guitar Days" and "More Young Guitar Days", consisting of previously unreleased material from the first five years of Forbert's recording career. Nearly 28 years since breaking into Pop consciousness with his best-selling album "Jackrabbit Slim", Steve Forbert remains a master of songs offering clear-eyed insight and plain-spoken, heartfelt eloquence. On his 429 Records/SLG debut, the well-traveled Nashville-based troubadour, who maintains a busy touring schedule of over 100 dates a year, explores his ongoing fascination for "Strange Names & New Sensations" with characteristic wit, a sense of social consciousness and the ever-present romantic optimism that has endeared him to two generations of Folk-Rock fans. 100 XR has selected the horn-driven tune "Middle Age" for your listening pleasure.